Today what do YOU NEED? No-one else. You. Neve r before has it been more starkly obvious that if your NEEDS are screaming out inside of you, you will feel wobbly and probably end up screaming yourself. Your reactions to your little/ big ones will spark reactions that will create negative feelings and thoughts inside both of you. Today what do YOU NEED? No-one else. You. What is it? A clear head? A run? A chat with a friend? Help with work? Help with your baby/ child/ teenager? A shoulder to cry on? A night out? What is IT ??????? Never before has it been more important to meet your NEEDS before you think about meeting the NEEDS of the rest of your family. When you meet your NEEDS first the rest is easy. You can listen properly and respond properly and meet the NEEDS of your off-spring properly. You can take pleasure in watching him/ her move forward rather than get stuck in a repetitive record. So if it is a run before your family are out of bed that gets your head straight before potty training, the school run or teenage drop offs then do it TODAY. Another day of not meeting your NEEDS is another day of repeating history and assigning your life and the life of your child to one that is less than satisfactory. For mums who have undergone a transformtional shift from single life to motherhood, this change is massive, but quite often it is only the mother who realises how much her world has changed, forever. If you are feeling stuck on how to move forward then maybe it is time to consider a Life Coach. Sara is the founder and inspiration behind Life Coaching for Mums-to-be and Mums. Borne out of her vast experience as a mother, teacher and journalist; Sara is a fully qualified Transformational Life Coach who dedicates her work to working specifically with Mums-to-be and Mums. Sara works with Mums-to-be from conception and beyond. She believes that being a Mum is the most important job in the world and that it is undervalued in our society. She works passionately with you so you get totally clear about your own thoughts and feelings and you become the most confident you are able to be – so you are able to create your own vision for yourself and your child/children and make the practical steps necessary to make it become your reality. Sara works with clients in London and Essex on both weekdays and weekends, so you are able to choose a time and day that is easiest for you in relation to your own childcare commitments. Sara works with you to transform your life and the life/ lives of your baby/ child/ children. For more information and a chat call Sara on 07958 196 043. During the launch of The Power of Hypnobirthing, this book is HALF PRICE (£2.99). The normal price is £5.99. Pre order it before 30 June to get it at this low price. However, hypnobirthing is still not a mainstream option for antenatal classes and many people are put off by the word itself. The word ‘hypnobirthing’ may even conjure up deceptive images. I’m here to reveal to you that a hypnobirthing course is a down-to-earth and simple approach to understanding and accepting pregnancy and labour as a natural process. This book explains ten indisputable reasons why hypnobirthing is the most effective birth preparation course. You will discover not only how it informs you about everything you need to know about late pregnancy, labour and birth, but that it also shows the importance of choosing the right birth partner and educating them to be able to support you in the correct way during this amazing and miraculous journey. If you are looking to achieve the birth that you want, but you feel that you don’t have all the information, resources and confidence to pursue this, this book will show you that a hypnobirthing course will help pull all these elements together, so that you can create the positive birth experience that you want. So, if you are currently pregnant or you know someone who is, read this book and gain insights into how thousands of women around the world are choosing to reconnect with their intuitive side and find a new approach to welcoming labour and birth with calm confidence. ‘Hypnobirthing is something every expectant couple should learn. There is so much to think about when preparing for the birth of your baby and this helps to focus the mind through an intensive course and with the relaxation scripts.’ Claire, expectant mum, Magical Baby Moments Hypnobirthing Course. Download it now for the Kindle or go to www.magicalbabymoments.com to pre order it in paperback (postage and package costs apply). Expected delivery date is early July. If you’re based near Romford in Essex, then why not bid for your place on an upcoming Group Hypnobirthing Course. In support of St Peter’s School’s Summer Fayre in Romford, Magical Baby Moments is donating a place for a couple on one of their group hypnobirthing course. Simply place your bid via eBay and if you are the person who bids the most the place is yours. For information about what a Hypnobirthing Course entails visit our Classes page. All monies raised will go directly to the school. 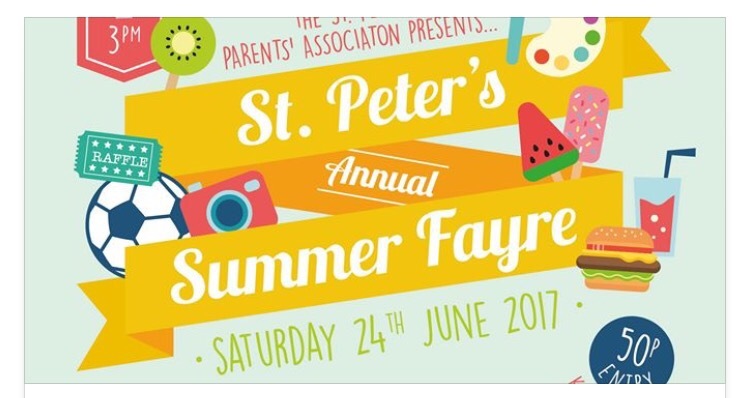 Come and join us at the Summer Fayre on Saturday 24 June 11-3pm. 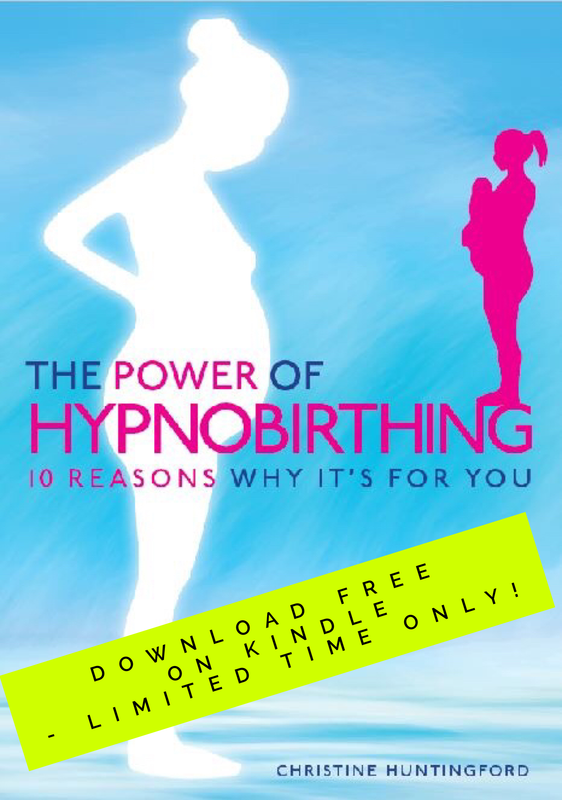 The Power of Hypnobirthing book is free to download on your Kindle for a limited time. Get your copy now! If you’ve heard about hypnobirthing, but you’re not quite sure what it’s about and whether it is right for you, then download this newly published book by Christine Huntingford, founder of Magical Baby Moments, who has written this book to explain how every single mother (and her birth partner) can enable a better birth experience by learning hypnobirthing. The Power of Hypnobirthing – 10 reasons why it’s for you does what it says on the tin; it outlines 10 concrete reasons how learning hypnobirthing will empower the expectant mum and her birth partner to enter labour and birth with positivity and calm confidence. Christine herself benefited from hypnobirthing when she was pregnant with both of her children and decided to become a teacher in 2015; to spread the word to expectant mums in her community in Romford, Essex. Here we are in 2017 and hypnobirthing is still not mainstream – and she wants to change that. Why? Because mothers who have used it in labour have often found their birth experiences, calm, relaxed and positive. How? By understanding the process of labour, asserting her preferences with her caregivers, so that she had the right birth experience for her and her baby. This is not to say that hypnobirthing only advocates natural births without pain relief, in fact hypnobirthing works for all mothers for whichever pregnancy she is on (first or fifth!) and for whatever outcome her journey plays out on the day. Mothers who are planning a Caesarean Section can also benefit from the power of hypnobirthing tools and techniques. If you’re looking for a relaxed birth and one that you will look back on with positivity, download this book. It’s available to download for free, between 4-8 June, with Amazon. If you prefer a paperback copy, you can pre order it via the Magical Baby Moments website. Please do leave a review. Thank you! Whilst I took quite a few photos whilst I was pregnant with my babies – marking the monthly milestones – the one thing I wish I had done was have a professional photographer capture me. Instead, I have the sideways bump photo in the office, which really wasn’t the best of backdrops. Additionaly in today’s world, most, if not all, of our photos are taken on our phone. But are they really good enough when it comes to wanting to put those photos around your house? Is the quality high enough? Often I suggest to parents to get their ‘proper’ cameras out…you know those things that have been most likely tucked away in your cupboard for a year or two (at least), so that you capture your first babies moments properly. I was excited to meet Alina Clark a few weeks ago in Romford, Essex. She is a local photographer who specialises in taking photos during everyday activities. She offers a variety of packages that cater for pregnancy and early motherhood, as well as other family moments. Documenting the special journey of you becoming a mum and welcoming a little baby into your world. Whether in the safety and comfort of your home, or at an outdoor location of your choice, I focus on capturing YOU and the beauty that pregnancy brings. Currently looking for pregnant ladies for FREE maternity sessions, whilst I build my photography portfolio! A shoot is free and you will receive approx 40 high resolution images. A couple of hours spent with your family documenting every detail of the current chapter of your life story. No fancy poses, nothing staged – just you keeping to your daily routine, being comfortable and natural, in your home or other location that’s special to you. The session can take place on a normal day or when you’ve got something more specific planned that your family enjoys. Capturing the first days of your newborn baby and your new role as parents – from the little fingers, toes and adorable body wrinkles, to documenting you as a family and the relationships between you. If you’re pregnant and looking for an antenatal class that will not only inform you about what happens in late pregnancy, labour and birth, but you also would like to learn techniques that will keep you calm and relaxed during labour and birth. Then book a hypnobirthing course with Magical Baby Moments. You and your birth partner will leave the course empowered about your choices, confident that you will know how to deal with the journey of labour and you’ll both have a vast toolkit to keep you focused and positive for your birth experience. Magical Baby Moments also covers key areas of how to look after a newborn.The hypnobirthing course covers many topics: visit the classes section on the website for full details. To relax in pregnancy and during labour, you can choose from relaxation and breathing techniques to visualisations, Rebozo and much more. We will teach you them all. Classes start on the first Tuesday of each month and also on selected weekends in Romford and Upminster, in Essex. Visit the website for more details. If you want to hear what other couples who have done hypnobirthing thought about the course and you want to find out what their experience was like visit the Testimonials section on the website. Evening Hypnobirthing Courses in Romford, Essex, start on the first Tuesday of the month and run for 4 weeks. Classes start at 8pm. Visit the website to find out dates or call Christine on 07764 680 215. Magical Baby Moments offers group hypnobirthing courses in Romford and private courses across Essex and London. Check online at http://www.magicalbabymoments.com/classes to find out upcoming dates.